The Golden Plover is a wading bird that breeds in northern Europe. In western Europe it is mainly a winter visitor. 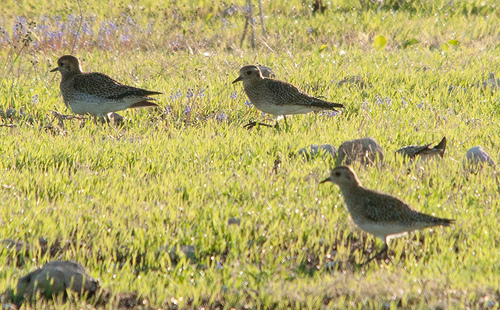 The Golden Plover has a brown back, the Grey Plover is grey. 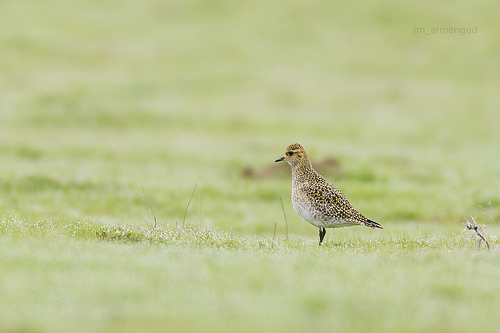 The Golden Plover has a short beak and is dark brown. The Ruff has orange legs and is lighter brown.